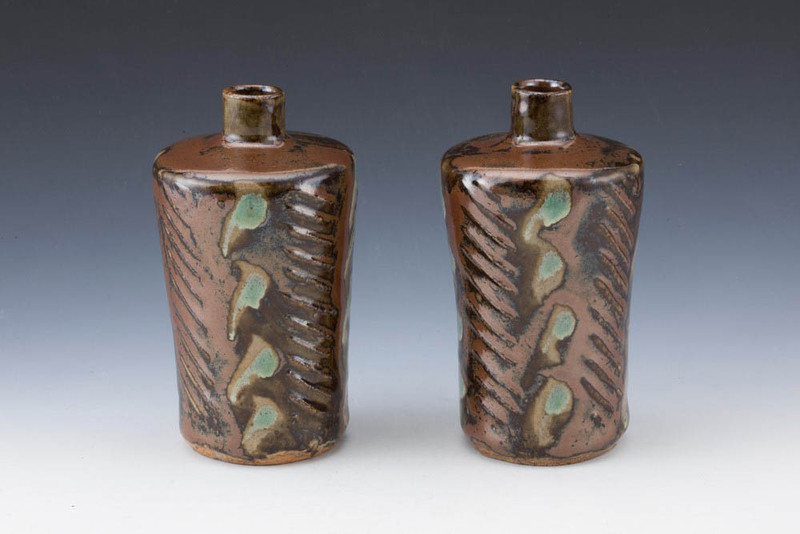 Hamada Shoji (濱田 庄司, December 9, 1894 – January 5, 1978) -- the most famous Japanese potter of the 20th century, the paradigmatic Oriental potter -- was one of the founders of the Mingei (folk-art) movement, along with Yanagi Soetsu, Bernard Leach, and Kawai Kanjiro. After finishing the elite Hibiya High School, Hamada studied ceramics at the Tokyo Institute of Technology (then known as Tokyo Industrial College) with Kawai Kanjiro under Itaya Hazan. As the sole students in the school interested in becoming artist-potters, Hamada and the slightly elder Kawai were soon friends, touring the city in search of inspiration. They worked together in Kyoto at the former Kyoto Municipal Institute of Industrial Technology and Culture where they experimented with glazes using various minerals. They met Yanagi Soetsu and Tomitomo Kenkichi while visiting potteries and exhibitions. 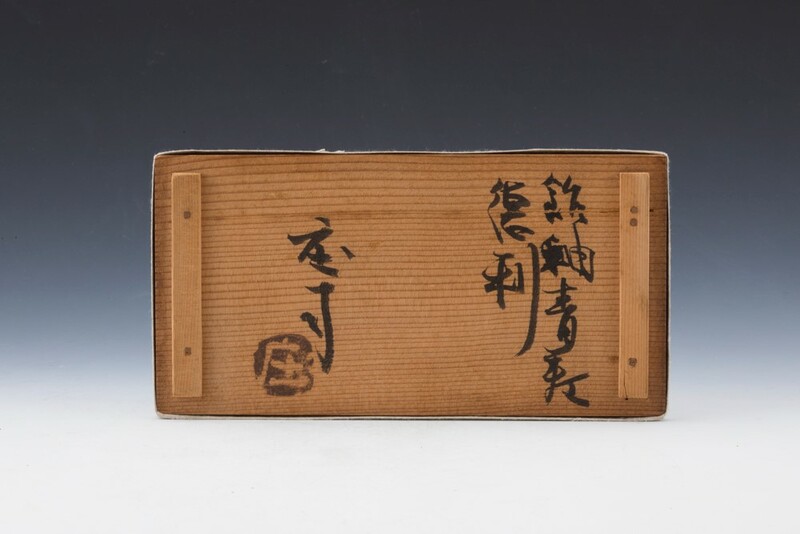 Hamada was deeply impressed by a Tokyo exhibition of ceramic art by Bernard Leach who was then staying with Yanagi Soetsu and wrote to Leach in 1919, seeking an introduction. 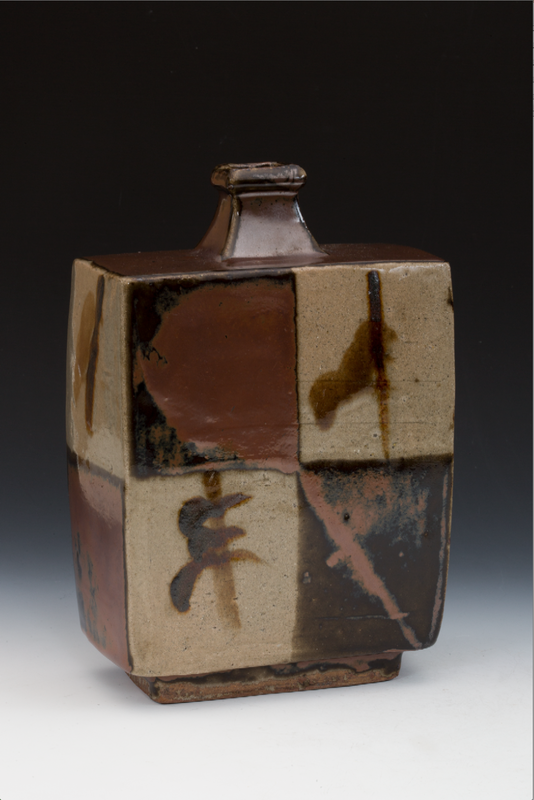 The two quickly found much in common and soon became good friends, so much so that Hamada accompanied Leach to England in 1920 when the latter decided to return and establish a pottery there. Having spent three years in St. Ives with Bernard Leach, Hamada returned to Japan in 1923 and traveled to potteries and stayed at Tsuboya in Okinawa Prefecture for weeks, then eventually established his workshop in Mashiko, about 100 km north-east of Tokyo. Here, he built his own pottery and an entire compound for his family to live in, and committed himself to using only locally sourced materials, not only in the clay he used, but also the glazes he created and the brushes he manufactured himself from dog hair and bamboo. In 1955 the Japanese government designated him "Living National Treasure", the first time for someone from the field of crafts. Like Yanagi Soetsu, Hamada was committed to preserving the legacy of the folk art movement in Japan for future generations. When Yanagi died in 1961, Shoji succeeded as the second director of the Japanese Folk Crafts Museum, and in 1977, he opened his own museum at his home, Mashiko Sankokan (present-day Hamada Shoji Memorial Mashiko Sankokan Museum), and exhibited his collection of folk crafts from Japan and abroad. Hamada Shoji was very supportive of young artists who moved to Mashiko such as his students Shimaoka Tatsuzo and Kamoda Shoji. Hamada died in Mashiko on January 5, 1978.